Beside the pubs and world-famous casinos, the city of Las Vegas is also surrounded by many wineries. If you are looking to spend some time with your close friends, then book a winery tour with Crown LV today. Along with style and comfort, we also ensure that your ride will be safe. This can be guaranteed as all of our vehicles are driven by experienced and professional chauffeurs. They are also familiar with the wineries and will, therefore, offer you a personalized winery tour experience. When you book a winery tour with us, you can be sure of getting satisfying transportation at reasonable prices. We have a wide range of party buses to accommodate a group of people of up to 15 or 40 passengers. All of them are equipped with luxurious amenities and so you will not have to give up on your comfort or class. After your winery tour, you can also enjoy the scenic beauty of the dazzling city lights. Pahrump Valley Winery: This is one of the most popular wineries of the city. You get the chance of tasting some of the best wines here. Situated at a distance of around 50 miles from the city, a tour to this winery will also give you the opportunity to enjoy the spectacular sceneries of the Red Rock Canyon and the Spring Mountains. Vegas Valley Winery: It just takes about 20 minutes to see this winery which is the only of its kind located in the Vegas Valley. 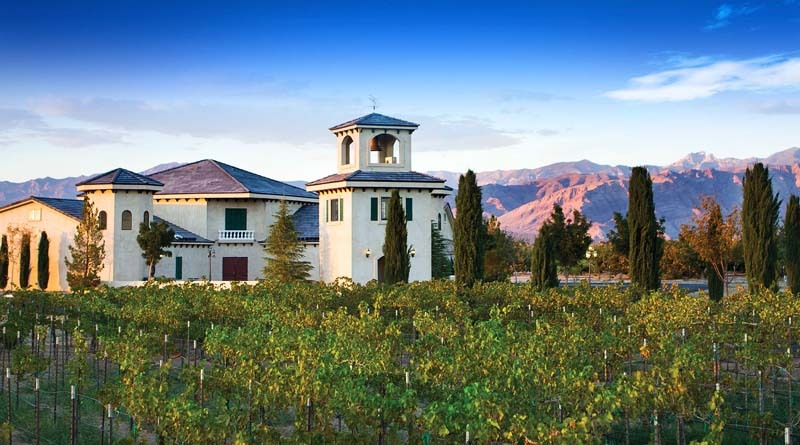 Wine Walk – Lake Las Vegas: More popular as a weekend spot, this beautiful winery is situated on the banks of Lake Las Vegas. You can enjoy the scenic landscape and the lush vineyards beside the lake. Our winery tour covers each of these wineries. But, you can plan your visit to some other wineries in the city and discuss it with us so that we figure out the best route for your itinerary. Our winery tour services are truly relaxing, providing a delightful experience that should not be missed out.